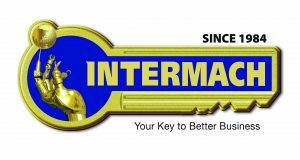 Kennametal has unveiled a boring system that boasts the most effective anti-chatter mechanism ever developed by the company. The system includes a serrated bolt-on connection at the bar’s business end that clamps a variety of styles and sizes of indexable heads. Better yet, the heads feature a shorter length and lighter weight that provides greater stability. They are also coolant-fed, to direct a stream of high-pressure coolant where it is needed most. According to Kennametal, the vibration-free system offers superior performance in boring applications up to 10xD, much deeper than solid carbide or heavy metal boring bars can manage. Internal and customer test results show surface finishes as good, or in most cases better, than competitor systems, with significantly more aggressive cutting parameters possible across the board. The portfolio starts at 25 mm and goes to 100 mm. The DoTripleMill from Tungaloy can use an octagon insert that offers 16 cutting edges which can take a depth of cut up to 3.4 mm However, if the depth of cut requirement is greater, then the same cutter body can accommodate an eight-edged square insert with depth-of-cut capability of 6 mm. Tungaloy’s DoTripleMill is also capable of using an eight-edged round insert. There are many advantages to a round insert. Round inserts are the strongest of all cutting tool geometries and can handle several applications. Another feature of round inserts is that with a light depth of cut, chip thinning can be utilised to offer feed rates that rival high-feed cutters. A big part of the performance advantage of DoTripleMill is found in the way the insert is secured into the pocket. The insert has a ground-in groove that circumnavigates the periphery of the insert, midway through the insert thickness. This groove acts to lock the insert into a mating protuberance in the pocket. With conventional face-milling cutters, the neck of the screw is the only factor holding the insert down. 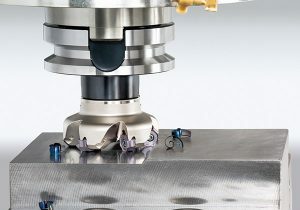 Where the DoTripleMill uses the milling cutter pocket to wedge the insert into place, this method acts as a dovetail locking mechanism that fully secures the insert, prevents movement, accurately tracks the insert and reduces strain on the screw, which is a common issue with conventional milling cutters. This design configuration facilitates higher feed rates, improved repeatability, increased dependability and better surface finishes. Inserts are available in both CVD and PVD coated grades. The CVD grades run at elevated spindle speed, while the PVD grades are used for sharper cutting edges. Diameters start at 50 mm and go to 160 mm. NTK Cutting Tools is releasing its Stick Duo Splash cartridge insert line for the turning of small parts. Stick Duo Splash inserts direct high-pressure coolant at the cutting edge, helping to overcome the issues of poor swarf clearance when machining small parts that require internal turning and threading operations. The Stick Duo Splash is available in two variants that offer either a single coolant outlet directed to the tip of the insert or, alternatively, a two-outlet holder which delivers cutting fluid to both the front and rear side of the tool insert. 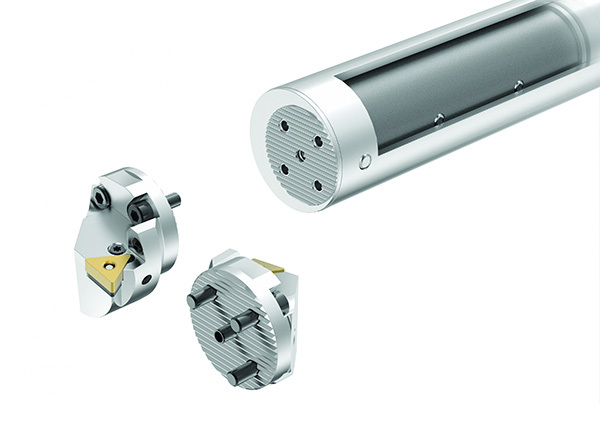 Stick Duo Splash inserts with two coolant outlets have been designed for evacuating chips during the processing of blind holes, while the single coolant outlet tool is suitable for the machining of through-holes and bores. NTK’s Stick Duo Splash tool-holder cartridge has been developed for use with machine tools that have both standard and through-coolant delivery configurations. However, the flexibility of the Stick Duo Splash allows end users to attach the coolant hose to either a screw hole at the rear end of the cartridge, or via a connection point located at the front end. NTK has developed the Stick Duo Splash with two coolant inlet options to meet the various tooling configurations and set-ups of small turning centres and sliding-head machines with compact work envelopes. Stick Duo Splash is available with a variety of cartridge dimensions that meet the specifications of all modern turning machines. Available diameters include 16, 19.05, 20, 22, 25 and 25.4 mm, with an overall length of 90, 110, 120 and 125 mm. ElectroMill diamond and CBN electroplated grinding solutions from Engis are designed to replace expensive, complex, tungsten carbide or PCD milling cutters in the production of high-quality, flat milled surfaces in high-volume applications – even those with an interrupted cut or where multiple materials must be machined simultaneously. 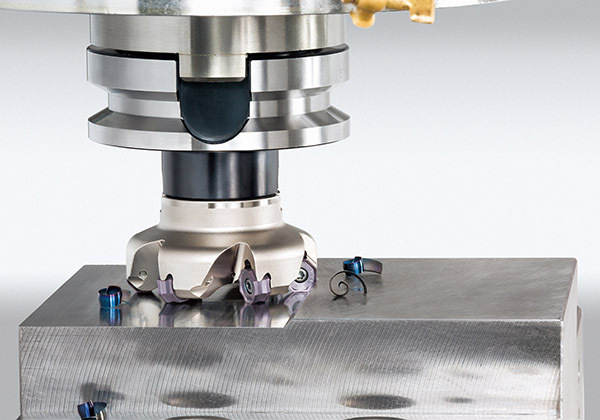 Designed for use on a variety of machining centre types, in fact any system with high pressure coolant and 10,000+ rpm spindle, ElectroMill improves surface finish and flatness, while extending tool life and reducing cost per part, says the company. ElectroMill solutions are offered either as an integral unit, providing increased rigidity and internal balance, or as a multi-part (shell) design, offering more flexible options and adaptability for legacy tool-holding situations. A number of standard taper options are also available. The major benefits of the Engis ElectroMill include reduced numbers of operations, set-ups and inspections, along with high stock removal rates and low heat build-up (providing stress-free, cool cutting action). 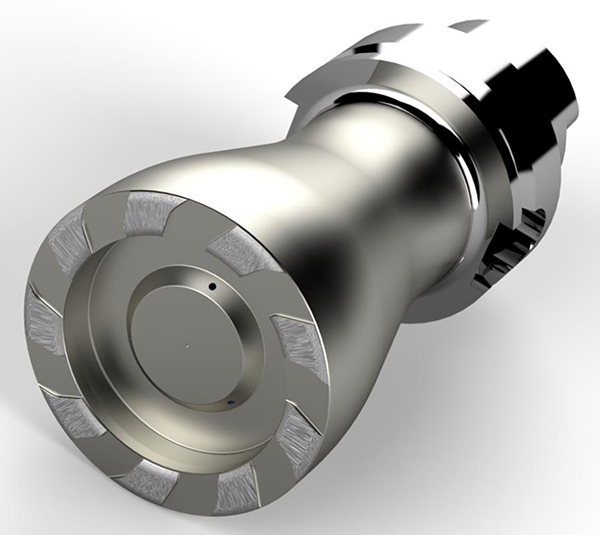 Engis says that ElectroMill extends tool life compared with conventional milling cutters because the diamond stays sharp with constant controlled micro-fracturing and no dressing cycles required. In addition, the ElectroMill solution is environmentally friendly, being usable with water-soluble or synthetic coolants. 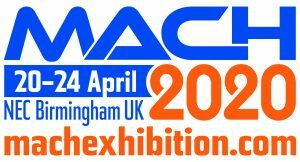 The ElectroMill is aimed at sectors that include marine, automotive, aerospace and defence – and at a wide variety of components in ferrous, non-ferrous and exotic materials. 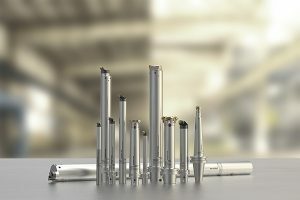 Two drills optimised for drilling aluminium automotive parts have been developed by Sandvik Coromant. Suitable for machining components in medium-to-large volumes, CoroDrill 400 and CoroDrill 430 deliver high throughput and low costs, as well extended tool life and enhanced process security, says the company. The drills are supported by CoroTap 100, 200, 300 and 400, which are also optimised for tapping operations in ISO N materials and help provide a complete hole-making offer from a single source for those tasked with producing aluminium automotive components. 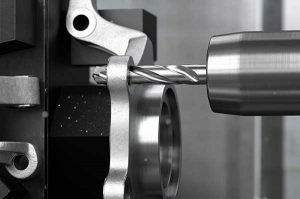 While both CoroDrill 400 and CoroDrill 430 are available in the Sandvik Coromant N1BU solid-carbide grade, the former can also be specified in the newly developed N1DU veined PCD grade. N1DU provides PCD across the entire cutting edge, thus offering much longer tool life. Due to PCD’s low coefficient of friction and high conductivity of heat, the tool’s cutting edges are less susceptible to built-up edge. As a general guide, Sandvik Coromant recommends the use of the solid-carbide grade when the hole count is low and handling risk is high, while the PCD grade is preferable where hole count is high and higher productivity is required. CoroDrill 400 is recommended for drilling into solid material, as it features more flute volume for better chip evacuation. When drilling into cored material or pre-cast holes, CoroDrill 430 will perform better as it features three flutes for increased stability and holding true positon, regardless of misaligned cored holes. Optimised features of CoroDrill 400 and CoroDrill 430 include polished flutes and precision coolant holes, with support provided for MQL. The drills are available as standard in 5, 6.8, 7, 8.5, 10.2 and 12.5 mm diameters, which correspond to M6, M8, M10, M12 and M14 thread sizes.